According to a study conducted by researchers at the New York University Langone Medical Center, phthalate compounds used as replacements for harmful chemicals in plastic products are linked to high blood pressure and insulin resistance. The study, recently published in the journals Hypertension and The Journal of Clinical Endocrinology and Metabolism, reveals that there is a link between hypertension and the phthalate compounds di-isononyl phthalate (DINP) and di-isodecyl phthalate (DIDP). The purpose of these compounds is to strengthen plastic wrap and plastic food containers. Researchers suggest that an individual’s blood pressure increased by 1.1 millimeters of mercury (mmHg) for every tenfold increase in the amount of phthalates used. DINP was originally used as a replacement for DEHP or di-2-ethylhexylphthlatate, which was found to cause hypertension in a previous study conducted in 2013. Study leader Dr. Leonardo Trasande was involved in both the 2013 DEHP study and the more recent DINP/DIDP study. Dr. Trasande suggests avoiding exposure to these harmful chemicals by not microwaving foods in plastic containers or in plastic wrap, and refraining from putting plastic food containers in the dishwasher. Researchers further suggest that consumers be on the lookout for the numbers three, six, or seven located on the embossed recycling symbol on their containers. Plastics with this symbol should be avoided in order to prevent exposure to the phthalates in question. Hypertension or high blood pressure occurs when the force of blood pushing through your arteries is steadily at a high range—this could lead to serious complications, such as heart disease or stroke. Insulin resistance is when the body no longer responds to insulin. The pancreas works harder to produce insulin until it can`t produce any more; thus, resulting in high blood sugar and the onset of diabetes. 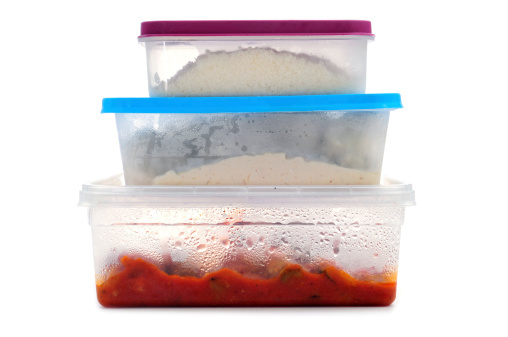 MacGill, M., “Food container plastics linked to rising blood pressure,” Medical News Today web site, July 9 2015; http://www.medicalnewstoday.com/articles/296504.php.